Halloween is coming... so here's something skeletal! These cables are often called Y-cables, but I refer to them as spine cables. Most cables twist in one direction, but these are delightfully monodirectional. The projects I see that incorporate spine cables generally have a refined but edgy look. They're super fun to knit, too! 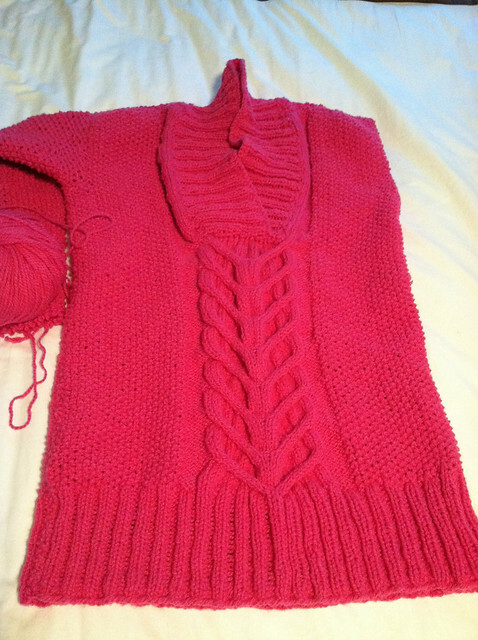 Here's a spine cable project I've had on the needles forever. They're showing up on a ton of apparel items. I couldn't believe it when I opened my Victoria's Secret catalog and the first big spread included the sweater below. 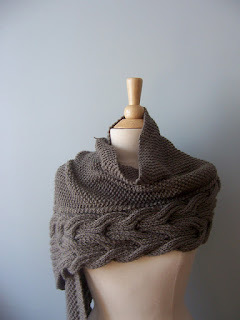 They look like little hearts on a lot of these items, but I find that the hand knitted spines I see are way... spinier. 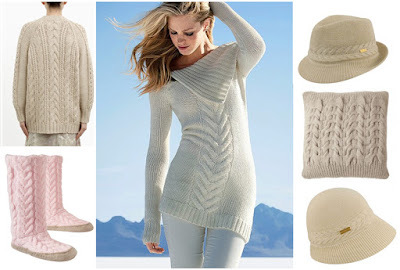 Sweater by Haute Hippie, Old Navy slipper boots, Sweater from Victoria's Secret, cushion by AllSaints, Hats by Kangol. I'm in love with the way these cables are so structural. They look great on men's and women's garments alike, and read well horizontally or vertically- how's that for versatility? 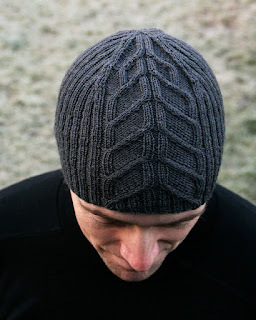 Got a favorite spine cable pattern? Post it in the comments! 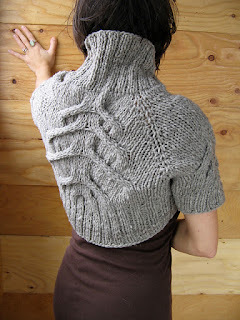 I love the Aspen wrap and the backbone shrug (though I think it would look better with a little less ease). 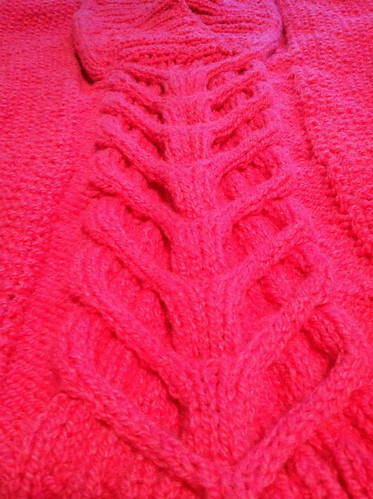 I think the cables in the handknits are also much better coordinated than in some of the commercial items, especially the Victoria's Secret sweater. It kind of screams HAYYYY LOOK AT MY JUMBLIES with the placement. Totally agree. They look like giant arrows!